Fixed gear bikes are everywhere. You can find them in just about every major city around the world. The craze has truly taken off and people everywhere are enjoying these fun, simple and attractive bicycles. 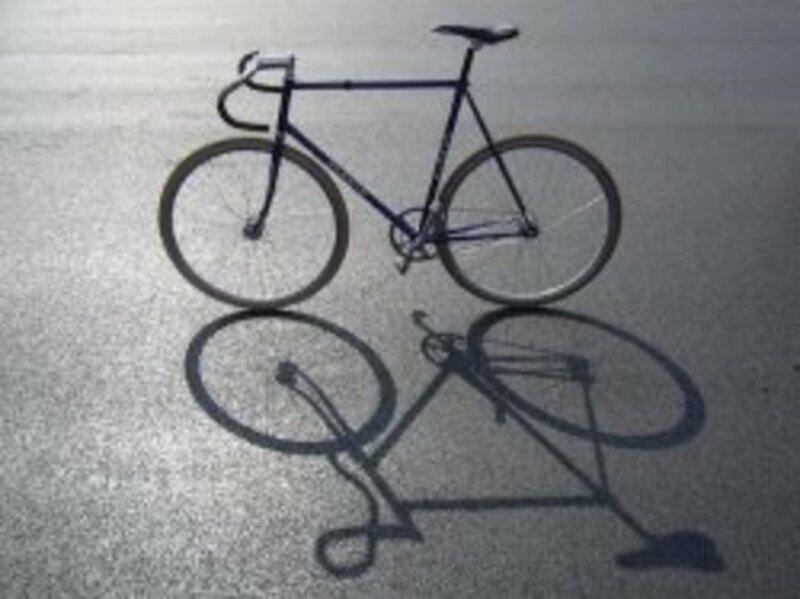 A big part of the fun for many fixed gear bicycle riders is the opportunity to build your own from a standard frame. Choosing the best fixed gear wheelset is probably the most pivotal part of any successful build. Time was when you'd have to go through a lot of steps to get a good set of wheels. 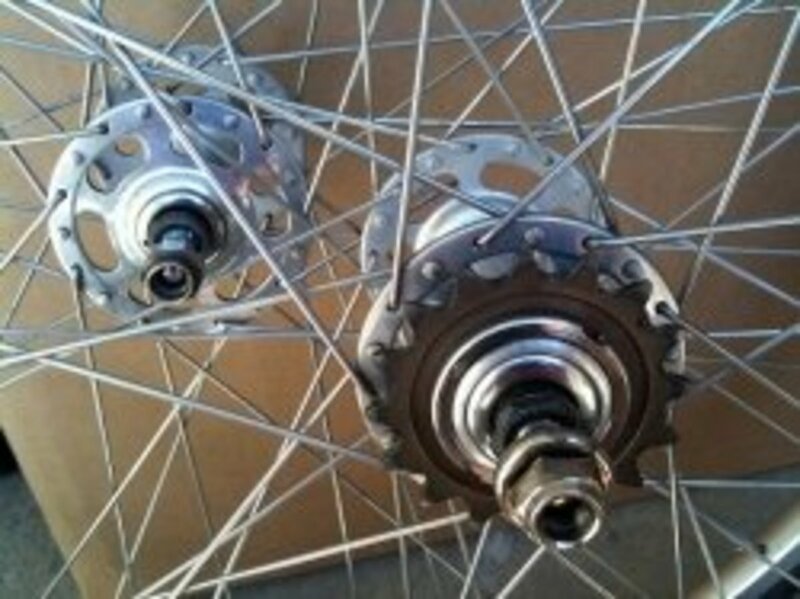 You'd need to order the hub, spokes and rims separately and lace it yourself. Not anymore! The popularity of fixies has grown to such a degree that there are some amazing and cheap fixed gear wheelsets available online. You just need to know what specifically to look for. If you're on the path towards building your own fixed gear bike, this is a great article for you to be reading. I will be reviewing four of my favorite fixed gear wheel sets, and I'll go over each one with a fine toothed comb, explaining the pros and cons and why I chose it. I'll also talk a bit about the fundamental components of any set of wheels, and where you should focus your attention when you shop. Let's begin! Be sure to leave any questions or comments at the bottom of this article. All fixie wheels, from the best to the worst, contain the same basic components that set them apart from a traditional set. Here is what you will find out there. Fixed Rear Hub: While the front wheel isn't really any different, the rear wheel features a special hub with a specific function. The rear cog is literally fixed to the wheel. That means that, unlike most freewheel bikes, it doesn't freely spin backwards. 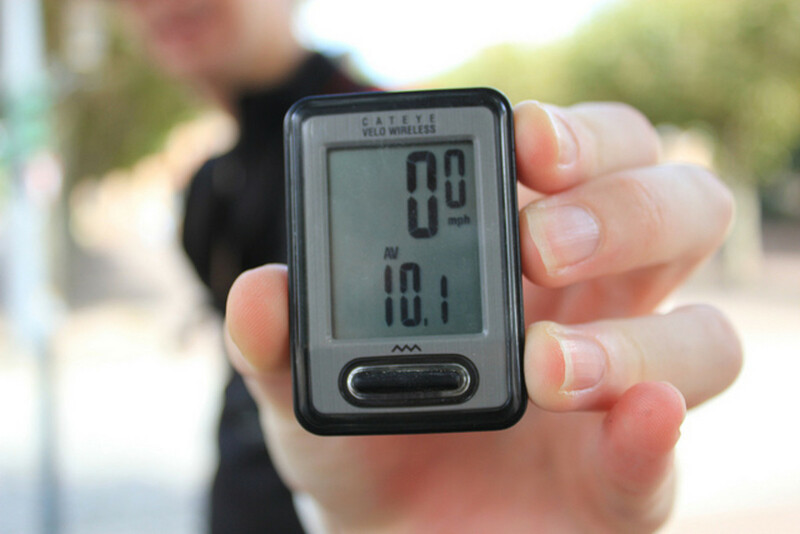 This means you can't coast, and the pedals, wheels and drivetrain move in unison. Lock Ring: All fixed gear hubs require a lock ring to keep the chain cog firmly in place (or else force would work the cog loose). Lock ring quality is important; if it strips or fails, you won't be able to pedal. Cog: This is the toothed ring that the chain runs across. They typically range between 16 and 18 teeth. Flip Flop Hubs: Some sets offer what's called a 'flip-flop' rear hub, which includes a fixed gear on one side, and a freewheel gear (for coasting) on the other. It literally lets you flip the wheel around to change your riding style. This set by Pure Fix has a lot going for it, not least of which the price. It's a great and strong set of wheels that also looks amazing. The prominent feature of these wheels is something you've probably already noticed: the deep dish rims. They look incredible and come in a wide range of colors, but they're also good even when you look more closely. These rims are strong, 50mm in height and made of double-walled anodized aluminum alloy. That means they're light too. They are 700c in size, which is more or less the standard seen on fixies these days. The hubs are made by a Chinese brand called KT Quando. They aren't top of the line, but they're found on many wheels and they get the job done. One nice thing about this set of cheap fixie wheels is the fact that it comes pre-equipped with a flip-flop rear hub, so you can ride fixed or free depending on how you're feeling. The only downside? They don't come preloaded with tires, so you'll have to find a set of tubes and rubber. That's a bonus in my mind, since the type of tire you choose affects your ride. They're strong, light and true, and available in virtually every color under the sun. This is definitely a good fixie wheel set that's worth your time to check out. One of my first sets was a Vuelta Zerolite, and I loved it. These wheels are slick, strong, spin forever and they have a nice 'stealth' look when you remove those decals. The aluminum alloy rim is double walled, and it's a 'medium V' style, meaning that there is some depth to the rim, but it's minimal and not over the top. The sides of the rim are CNC machined, so they're ready to use with standard calliper or linear pull style brakes. Sticking with the stealth look, the hubs themselves are pretty low flange, so these look nice on a more classic build. There are 32 spokes per rim, which is more than you'll usually find. I like that because it means greater strength. They're pretty light too, at just under 5 pounds for the set. The hubs are good quality and with quality bearings they like to spin for a long time. This is a flip-flop style set of fixed gear wheels, but it will only come with the fixed style cog, a 16 tooth model. If you want to make use of the freewheel side you'll have to get a freewheel cog (which aren't too hard to come by, really). You'll also have to track down some tires and tubes. The price for these wheels is so good compared to a shop, you probably won't mind. They come in a wide range of colors too, but I personally prefer the polished silver or black styles. Vuelta makes a great quality, affordable fixed gear wheelset worth looking at. If you're hunting for a quality set of wheels for your fixed gear bike and don't want to go too overboard on price, State Bicycle Co. offers a great series of deep profile wheels that really make a bike frame pop. For what you get and how well they are built (hand built by the way), they're extremely well priced. Let's get to the technical stuff: the rim depth on these wheels is 43mm. That's not the deepest V rim I've seen, but it's significant. Unlike many deep V wheels, they are machined for brakes on the front and the rear, which is nice (never ride brakeless). The hubs are KT Quando, and the rear is a flip-flop. It comes equipped with a 16 tooth fixed cog and it's compatible with a 16t freewheel on the other side, so you have both options available to you. It comes with a set of chain tensioners, which affix to the rear fork ends and can be used to make minute adjustments to the chain tension and rear wheel spacing. This beautiful, bolt-on fixed gear wheelset has one of the best brands backing it. I really like State Bicycle: they stand up for their products and offer excellent warranty coverage and customer service, which is a big bonus to me. There are a few different classic colors you can choose from, so give these wheels a hard look. If you're hunting for a slightly higher end set of (still affordable) fixed gear wheels, one of the best choices in my opinion is to go with Mavic rims. However, they can be expensive, and they're priced out of the budget range of most people. The CPX22 was suggested by CyclingFitness as an affordable option, and I'm a fan of them too. It's a double walled mid-profile alloy rim that is fairly light, quite strong and is perfect for a 'stealth' fixed gear bicycle build or anyone interested in getting into track riding. The rims look great, and they're machined too, so they're ready to rock with your brake setup. They are laced to Redline hubs, and the rear is a flip-flop hub. The set does not come with a rear cog and lockring, so you'll need to find those components. The hubs are sealed bearing, and they spin well with very little friction. Redline is about on par with Formula, and slightly better than Quando (in that they're typically sealed bearing and spin a little more freely), in case you're unfamiliar with them. 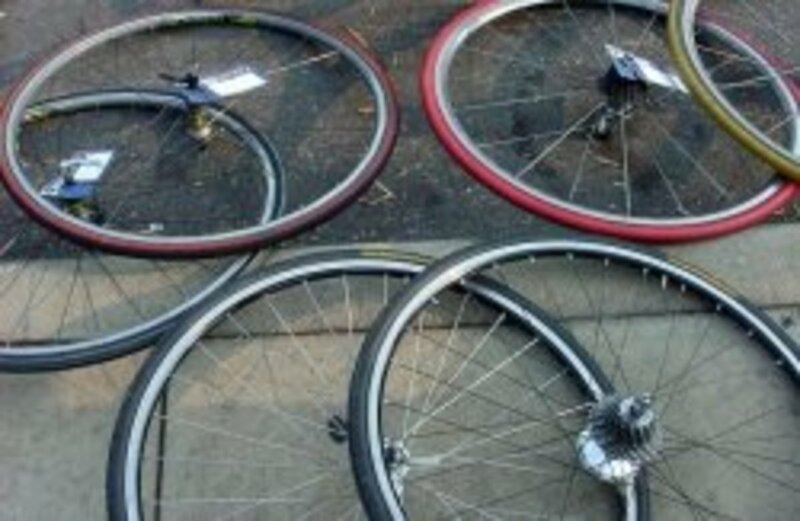 They should arrive pre-taped and ready to go, but as they're clincher style you'll need to also track down some tires and tubes to get them road ready. This is definitely a good set of fixed gear wheels that will last a while and hold its value if treated well. Even if you've got a top quality fixed gear wheelset, you can still have a lousy experience with your ride if you don't tune it up properly. Here are some tips to get you rolling in the right direction. Chain line is important. You basically need to make sure that your chain is nice and straight from the rear cog to the chainring, or at least as straight as possible. If it's too far off, you'll get a lot of clicking and unnecessary wear and tear. This may require a few spacers. If you aren't sure how to remedy it, take it in to your local bike shop for some advice. You'll also want to make sure that the chain is taut. I see way too many saggy chains on fixed gear bikes! The saggier your chain, the less responsive your bike will be. Not only will it be less fun to ride, it's potentially dangerous. But don't over tighten it either, that will create a clicking sound and excess wear. 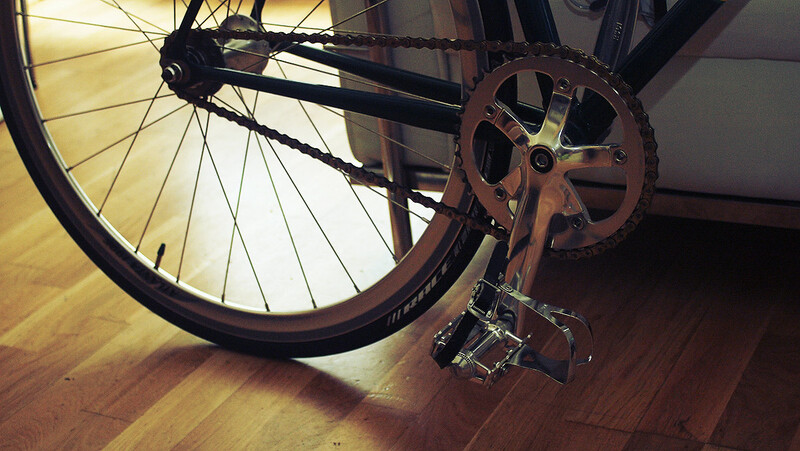 (It's less important to have a taut chain if you're running the freewheel side). 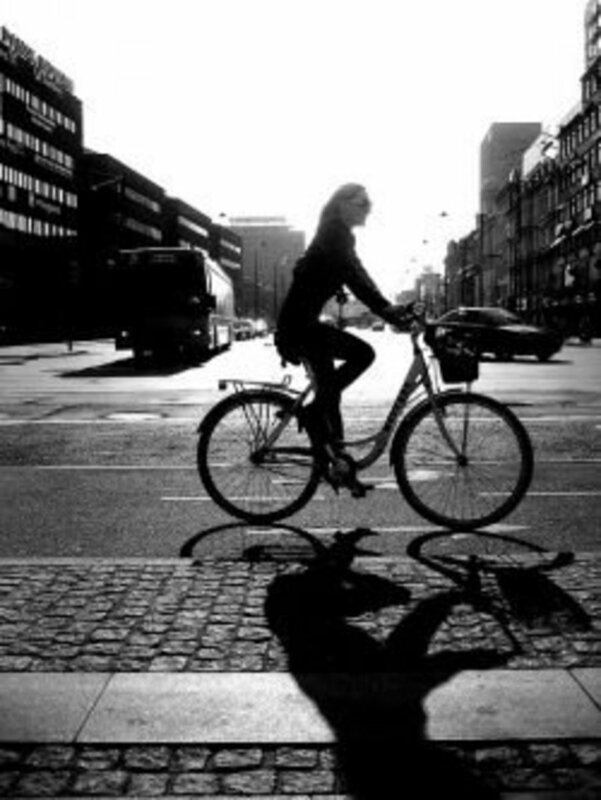 You may feel like riding sans brakes, but it's a terrible idea! Get brakes. Don't be a lemming. 'Skid stopping' doesn't provide nearly enough braking power. 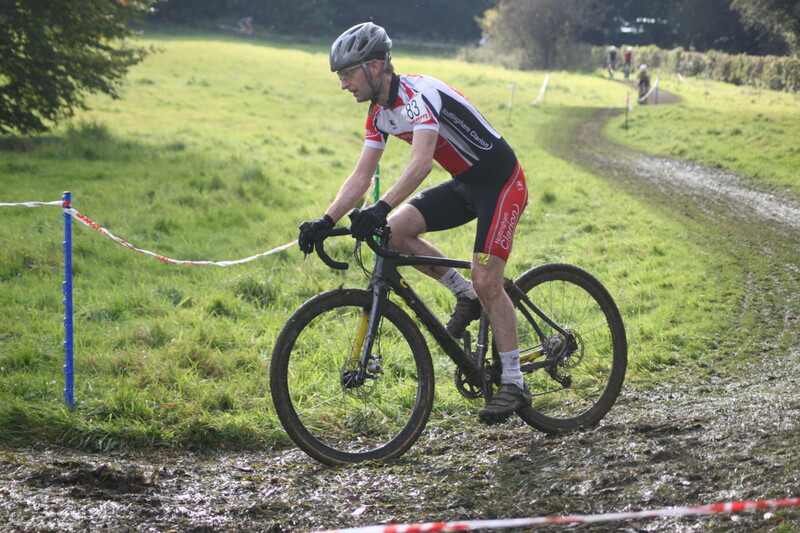 Hopefully this article has helped you find the best fixed gear wheelsets for your bicycle. If not, please leave a comment and I'll try to help you further. Thanks for reading! What are your favorite type of handlebars? I like standard road bike bars. I'm a fan of bullhorn style handlebars. 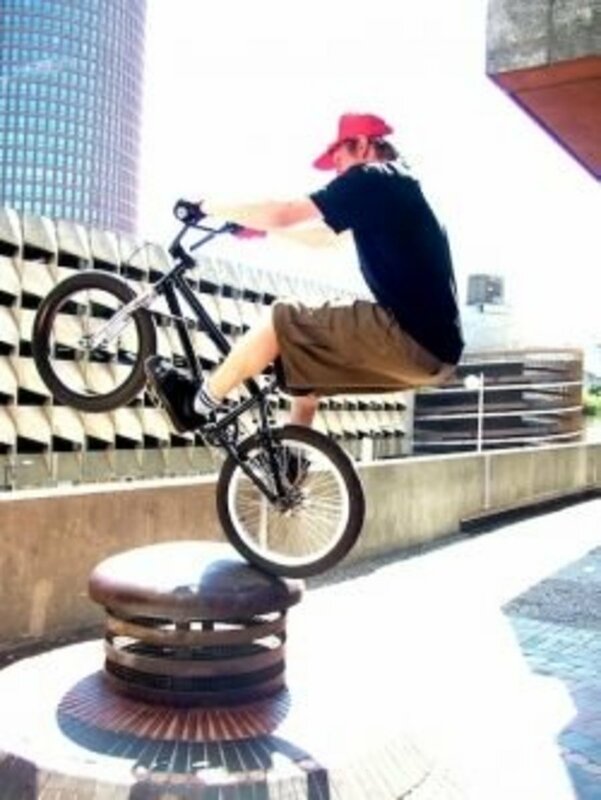 I prefer riser / BMX bars. Questions, Comments or just want to say hi? Post here. These are all super expensive, especially since you can pick up a whole bike for less than 200 these days. I have a set blue anadiozed Fyxation pusher,s on my pure fix.I wiil take my rims over the hole bike. hi im new to fixie bikes and i just bought a state bike black label that weighs 21 lbs when assembled and i want to upgrades to better parts for performance and to make the bike lighter. Is there any recommendations? Are essor wheels better than the Mavics? I've always been pretty negative towards Mavic's wheelsets but their rims are very good. My father and I have had bikes with Quando hubs and they've needed replacement bearings within 3-6 months of riding. I tend to ride fixed for winter training on moderately rough roads so the extra spokes are always a bonus- I genuinely believe I can feel a difference in the corners. I like Mavics quite a lot too, though the higher end rims can be pricier, and I wrote this article for those on a budget. There's actually a set I'm fond of with CXP22's that I will add to this list. I've had positive experiences with Quandos, particularly my Vuelta Zerolite set... rock solid and smooth, no problems after a year's riding (when I sold them). Not top end by any stretch, but good. I don't see any tangible difference between 36 and 32 spoke, personally. Once into the 20s and teens, it can get dodgy. Having used Quando hubs in the past I would steer clear of them as from personal experience the bearing quality is shockingly bad. Personally I'd always go for 36 spoke hand built onto a nice set of track hubs (ambrosio are great at a lower price range) and a set of mid section v rims like a Mavic CXP33 (or 22 if you're on a real budget) they'll last so much longer and be far more reliable long term.